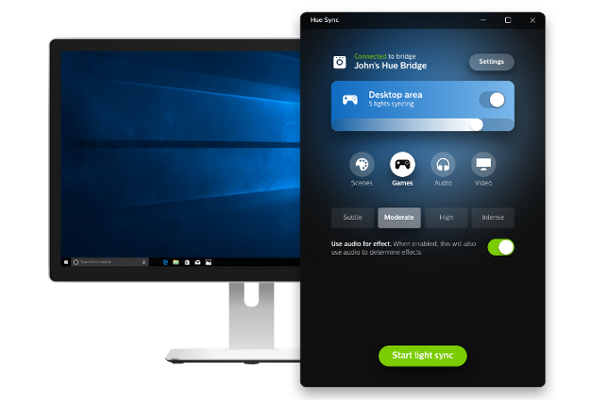 Philips Hue Sync app for Windows and macOS launched: Synchronize your Philips Hue lights with games, videos and music played on your computer. Signify* today announces the global launch of Philips Hue Sync, a free app that enables you to perfectly synchronize your Philips Hue lights with games, videos and music played on your computer. The new entertainment software runs alongside the Philips Hue app and works on any Windows 10 or macOS (Sierra and later) computer.